Japonic. 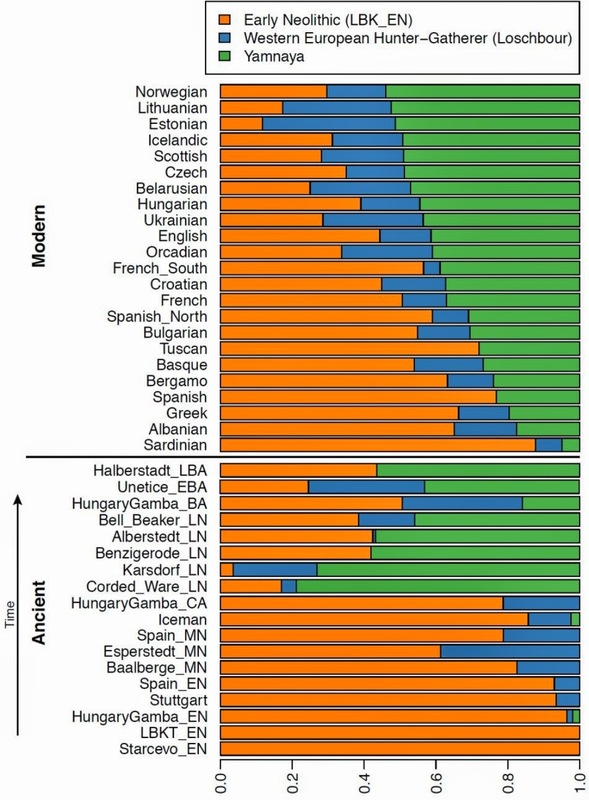 Where two subgroups are from the same geographic location, only one of the subgroups is shown (full results are presented in Fig.S1). Note that for reasons of space the location of the two distinct Yakut subgroups does not correspond to their true location. Each color indicates a different ancestry component referred to in the text as “(light) green” or European, “yellow” or Western Siberian, “blue” or Central Siberian, “pink” or Asian, “red” or Far Eastern, “dark green” or Eskimo. Collateral relatives of Amerindians among the Bronze Age populace of Siberia? Am J Phys Anthropol. 1999 Feb;108(2):193-204. Nonmetric and metric traits were studied in cranial series representing prehistoric and modern populations of America and Siberia. Frequencies of the infraorbital pattern type II (longitudinal infraorbital suture overlaid by the zygomatic bone) are universally lower in Amerindians than in Siberians. The os japonicum posterior trace, too, is much less frequent in America than in Siberia. 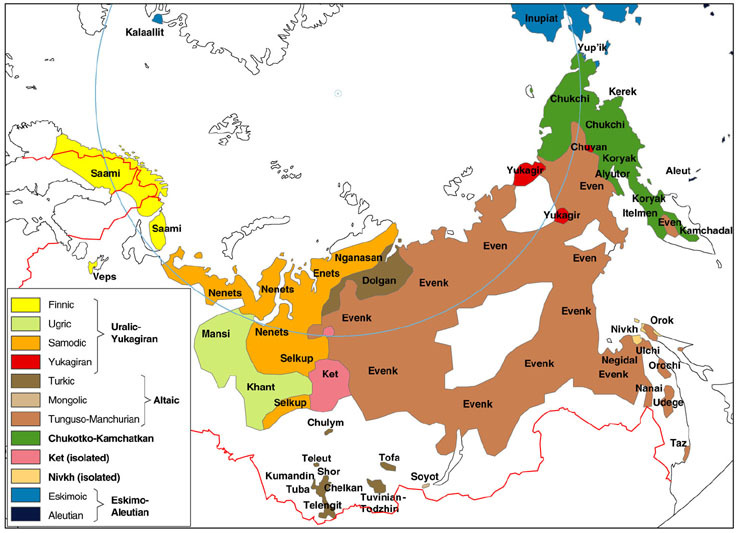 The only two Siberian groups with an almost Amerindian combination are late third to early second millennium BC populations from Okunev and Sopka, southern Siberia. The multivariate analysis of five nonmetric facial traits and ten facial measurements in 15 cranial series reveals two independent tendencies. We estimate mixture proportions using a method that gives unbiased estimates even without an accurate model for the relationships between the test populations and the outgroup populations (Supplementary Information section 9). Population samples are grouped according to chronology (ancient) and Yamnaya ancestry (present-day humans). We generated genome-wide data from 69 Europeans who lived between 8,000-3,000 years ago by enriching ancient DNA libraries for a target set of almost four hundred thousand polymorphisms. Enrichment of these positions decreases the sequencing required for genome-wide ancient DNA analysis by a median of around 250-fold, allowing us to study an order of magnitude more individuals than previous studies and to obtain new insights about the past. We show that the populations of western and far eastern Europe followed opposite trajectories between 8,000-5,000 years ago. At the beginning of the Neolithic period in Europe, ~8,000-7,000 years ago, closely related groups of early farmers appeared in Germany, Hungary, and Spain, different from indigenous hunter-gatherers, whereas Russia was inhabited by a distinctive population of hunter-gatherers with high affinity to a ~24,000 year old Siberian6. A short-barreled harquebus (below) and a pistol (above) of the Polish-Lithuanian Hussars (source: kismeta.com). 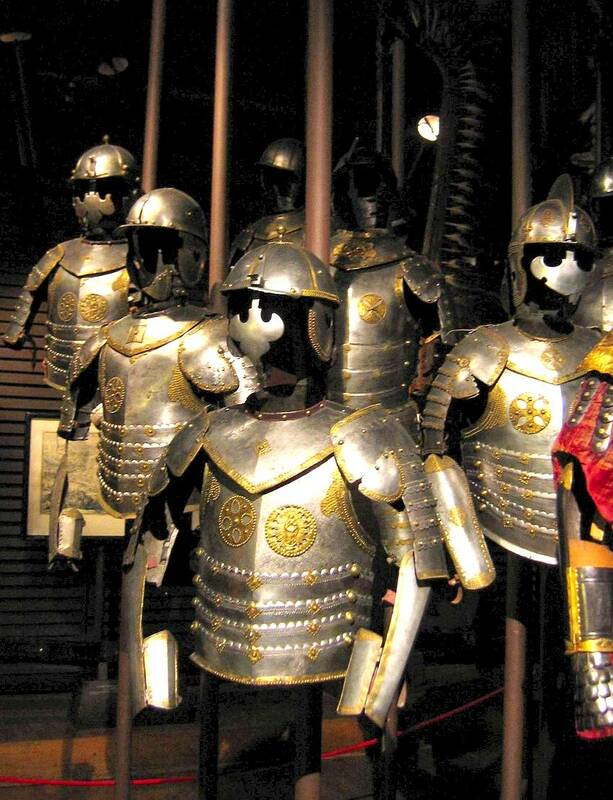 Semi-cuirasses and helmets of Polish hussars of the mid-17th century (National Museum, Krakow). The armor in the background is accompanied by the renowned wing-construction. In 1386 the Polish Kingdom and the Grand Duchy of Lithuania were united on the basis of a personal union under the Lithuanian Jagiellonian monarchs. Ladislaus (Russ. Vladislav) II Jagiello, the duke of Lithuania, married Hedwige, the queen of Poland. The royal couple joined their dominions forming a new strong Roman Catholic kingdom centered on Krakow, which included large Eastern European areas. The new state included Lithuania, modern Belarus, most of modern Poland and Ukraine and parts of modern Russia. The Jagiellonian borders were quite close to the Russian metropolises Moscow, Novgorod and Tver. In 1410 the Polish-Lithuanian forces crushed the Teutonic Knights at the Battle of Grunwald (Tannenberg), ensuring a territorial outlet to the Baltic sea for the binary kingdom. Simultaneously the Lithuanians regained Samogitia from the Teutonic Order. Soon afterwards, the princes of Moldavia and Wallachia became vassals of Ladislaus, thereby the Polish-Lithuanian power reached the Black Sea. The Polish-Lithuanian Commonwealth was ruled by a Sejm (parliament) of aristocrats and an elected monarch, who was elected by the Polish nobles among the Lithuanian dukes. In 1413 the Polish and Lithuanian nobles confirmed the Polish-Lithuanian union with a treaty. The Catholic Commonwealth faced the threat of the Muslim Ottomans on its southern borders and of the Orthodox Russians in the East. Moreover, the majority of its people were of Russian origin (who later mostly evolved to the nations of the Ukrainians and Belarusians). At the same time, Poland-Lithuania followed an expansionist policy against the Germans with whom was bordering in the North and West. Ladislaus III, who was also king of Hungary, tried to stem the Turkish advance at Varna (Bulgaria) but he was defeated (November 1444) and the Commonwealth lost permanently the two Danubian principalities. In contrast, the Poles-Lithuanians achieved major victories over the Germans. In 1454 the former conquered some territories from the Teutonic Knights, thus starting the “Thirteen years’ war.” The war ended in 1466 with the Commonwealth being the winner which imposed its overlordship on the Teutonic Knights and won the districts of Pomerellen and Ermland, and the strategic port of Gdansk (Danzig). The Poles-Lithuanians managed to stop the German counter-attack and the Ottoman attack, but failed to achieve the same against the Russians. 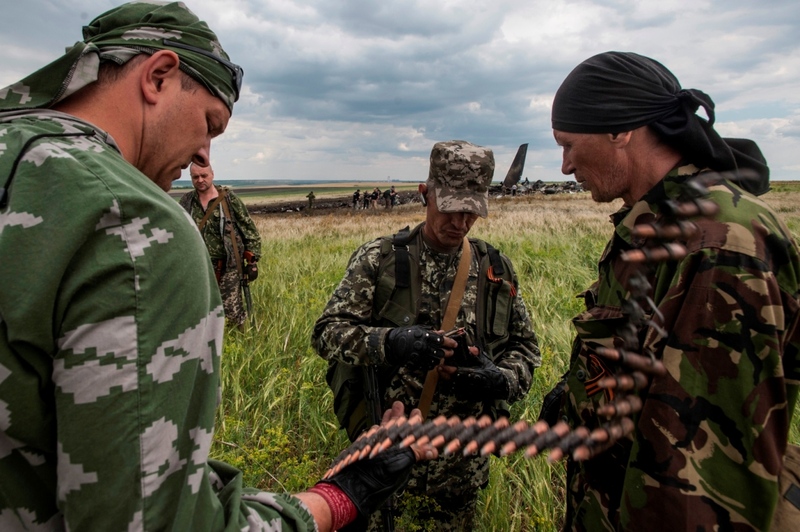 Since the mid-15th century, the aggressive Grand Duchy of Muscovy pressed hard Lithuania, managing to capture large areas with Russian population, including the major cities of Smolensk and Chernigov. In 1514 the Poles-Lithuanians overwhelmingly defeated the Muscovite army at the battle of Orsza (1514) and later regained Smolensk, Chernigov and other areas.